The volunteer ranger team are our front line support, making sure the nature reserve looks top notch for the visiting public. 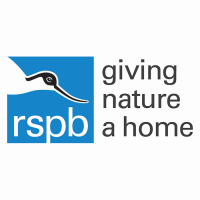 You will be an ambassador for the RSPB, talking to the public about our work, offering information and answering questions as you go along. You will be crucial in the site maintenance, litter picking and reporting damage to paths, fences and benches. The volunteer ranger will assist the team with the ‘outdoor’ aspects of the day to day running of the reserve; most importantly, we need you to be an active site presence for visitors, so good communication skills are a must. We are looking for someone who is self-reliant and pragmatic, confident deal with minor incidents on site. Appropriate training will be provided to carry out the role and a full site induction will be offered.